Well, what do you know – it’s over. 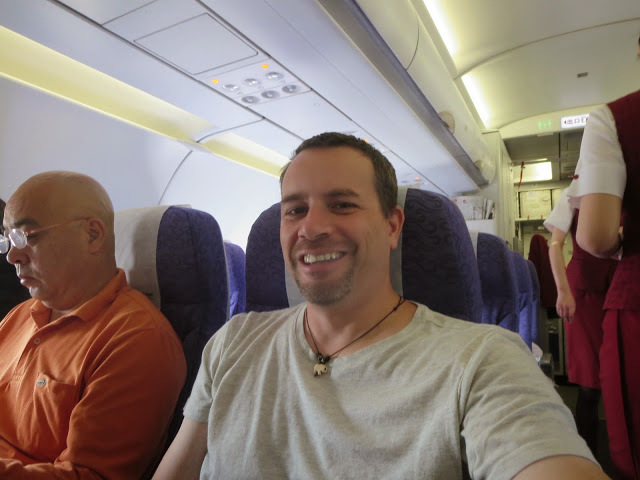 After 103 days, my adventure affectionately titled Asia Trip 2014 has come to an end. You know, something about setting an alarm on your phone for 4am just ain’t right. Especially when it tells you it will go off in 4 hours. Yeah – 4 hours sleep last night as, even though my flight home wasn’t until 9am, it would take some time to get to the airport. 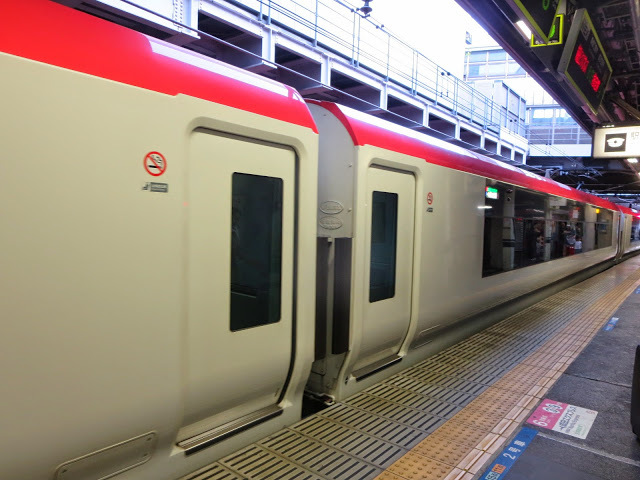 Turns out the airport is a good hour out of Tokyo city – and that’s on the fast train. 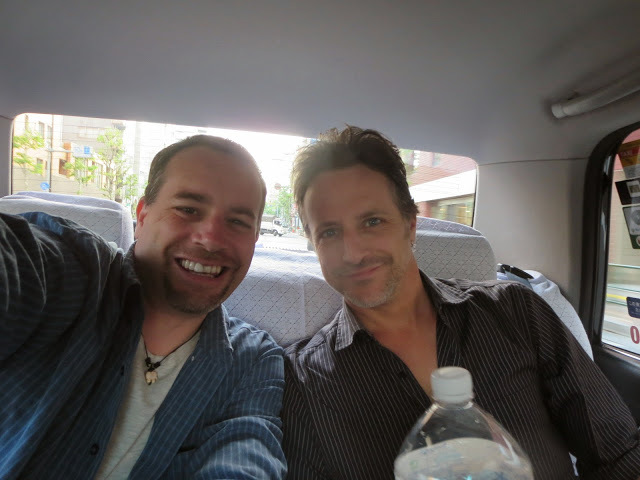 Ben and I met downstairs at 5:30am to catch a cab (1400 yen, $14) to the train station. 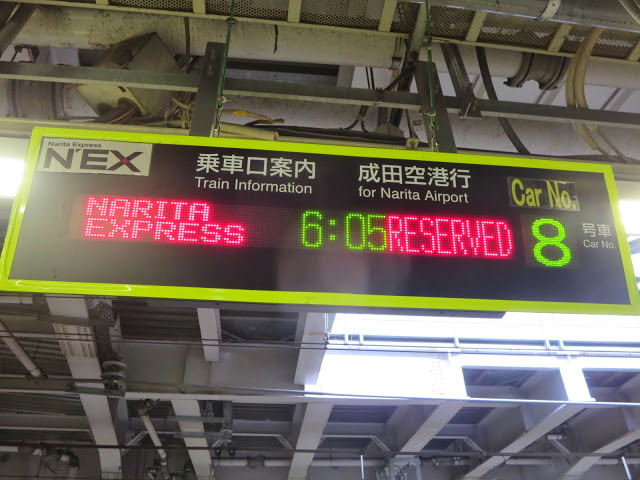 From there it was an hour train ride (3400 yen, $34) out to the airport. We got to the airport just before 7:30am giving me just an hour and a half to checkin, go through security and go through immigration. Checking in wasn’t too bad. There was a bit of a line but it moved pretty quickly. This was where I said my goodbyes to Ben. 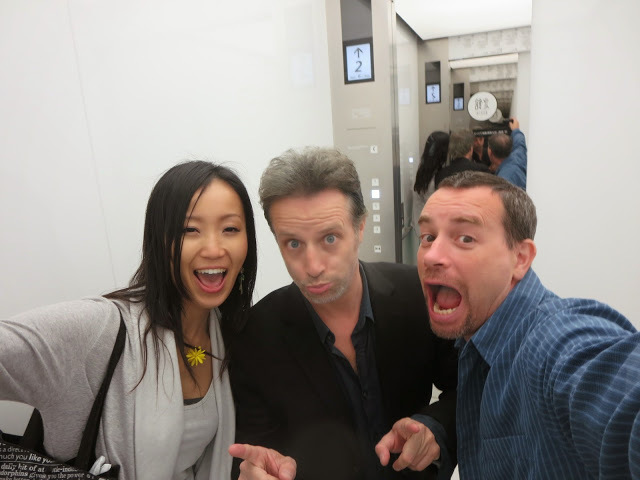 He was such an awesome host. Actually both him and Yuka. 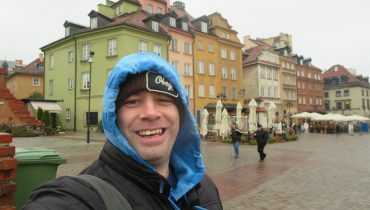 They opened up their home to me for a week and I know Ben gave up some work so he could show me his great country. Going through security was a breeze and, once again, I found another smiling face here in Japan. The people here have been so friendly and polite and it was shown again by the fact that even the guy at the security area (a notorious no-smile zone) gave me a smile as I went through the metal detector. Immigration took awhile to get through the line but, once again, I had no problems with going through immigration. I must just have a friendly face I guess because not once in the numerous times I went through customs on this trip was I ever really questioned. It was always stamp, stamp, wave on through. My gate was number 43. 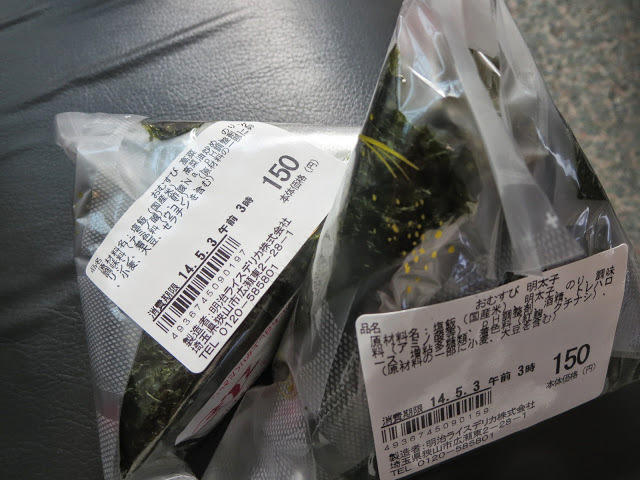 By the time I got to my gate I had just enough time to chow down on a sushi ball (a triangle shaped piece of sushi very popular here) before it was time to board my flight. This would be the first of two flights to get me home today. 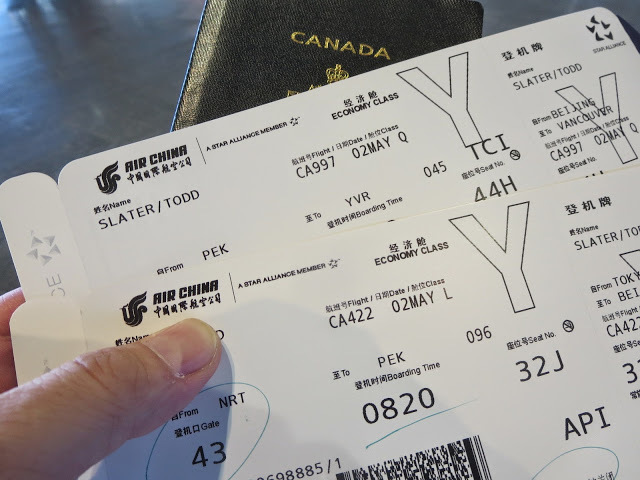 First I would fly for 4 hours to Beijing, China and then after a 2 hour layover I would fly another 11 hours on to Vancouver. We all boarded the flight but then sat in the plane for an extra 20 minutes before takeoff as one of the passengers hadn’t checked in and they had to find his luggage down below and unload it. I was seated near the back of the plane and when I noticed that no one was occupying the last few rows I asked the flight attendant if I could move seats once we took off. She said yes and I ended up having a whole row to myself for the first flight. 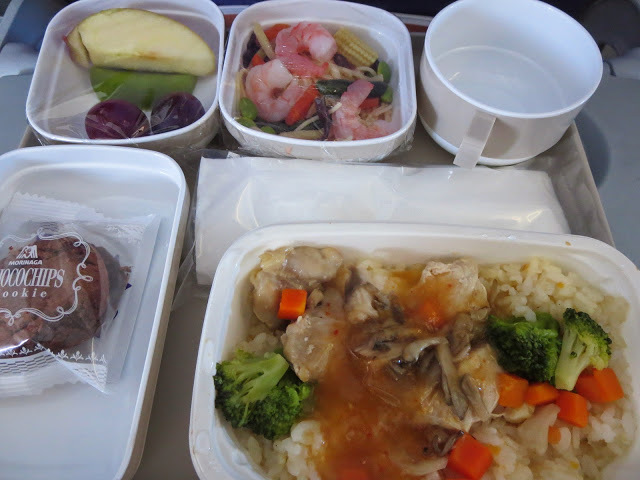 Shortly into the flight they served up breakfast although I’d call it lunch or even dinner as it was beef with rice, a side salad, some fruit and a couple of cookies. At 11:30am we arrived in Beijing. The first thing I noticed as I was disembarking from my Air China flight was that none of the flight attendants smiled or said thank you on the way out. Not a big deal except that I had gotten so used to it on the many flights here in southeast Asia that it actually stood out when it didn’t happen. My connecting flight didn’t leave for an hour and a half but as it turns out I needed all that time. For some inexplicable reason those of us connecting onto other international flights were required to go through customs. The line was long and took forever and then, to top it off, you go straight downstairs and go through security and customs again on your way to the gate. The whole process took a good 40 minutes and, of course, my gate was once again way over at the end of the airport. Plus I had to surrender another bottle of water. The kicker though was, while I was able to procure free wifi at the airport, China has blocked a bunch of sites including Facebook and Blogger. Facebook was no big deal but Blogger was. I had my whole blog written for yesterday and ready to publish. All I needed to do was add a few more photos and press the publish button. By the time I got to my gate I didn’t have much time before I was boarding my second flight of the day. I lucked out again and ended up in a row with 4 seats but no one sitting in the two middle seats so I could put the arm rest up and stretch out a little. 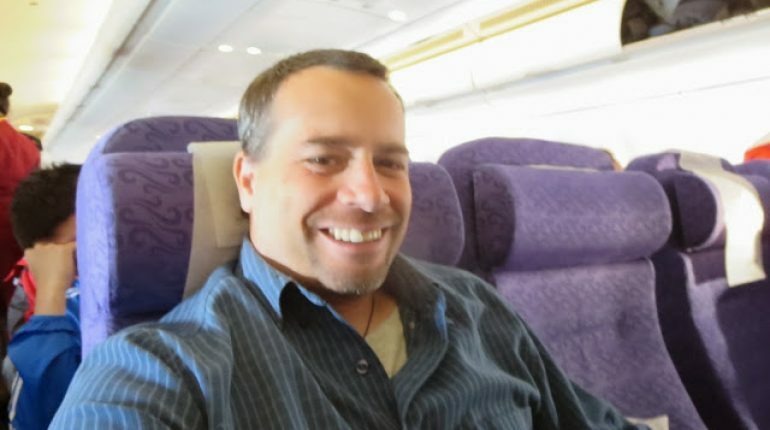 I, of course, didn’t sleep much (I never do on flights) but at least I was more comfortable. 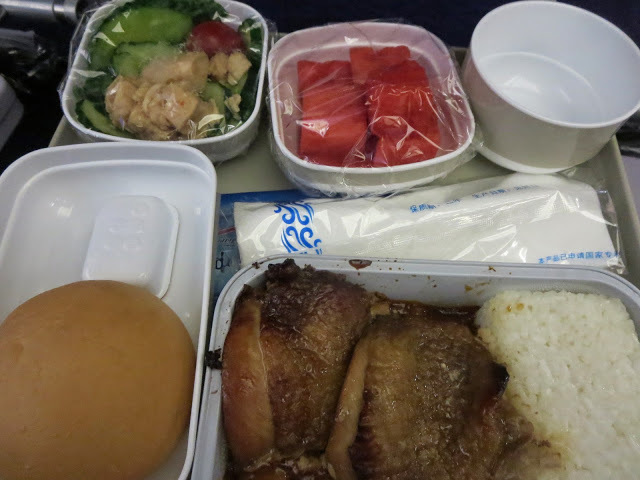 The flight was another Air China flight and they served yet another great meal soon after takeoff. This time I had chicken with rice and veggies, a cucumber salad, a roll and some watermelon. 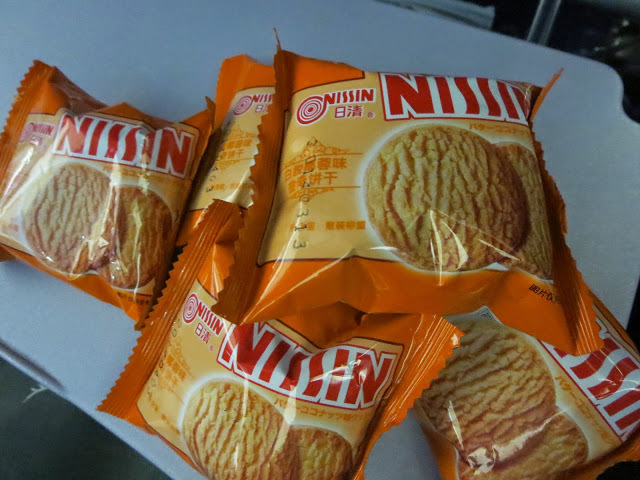 After lunch I asked the flight attendant if she had any chocolate or candy I could buy and she told me all she had was cookies. She asked how many I wanted – three? five? I, of course, said five and she came back with 5 packs of cookies for me. The flight actually went pretty quick considering it was 11 hours long. I did manage to sleep here and there and I spent alot of time watching stuff on my netbook until the battery died. 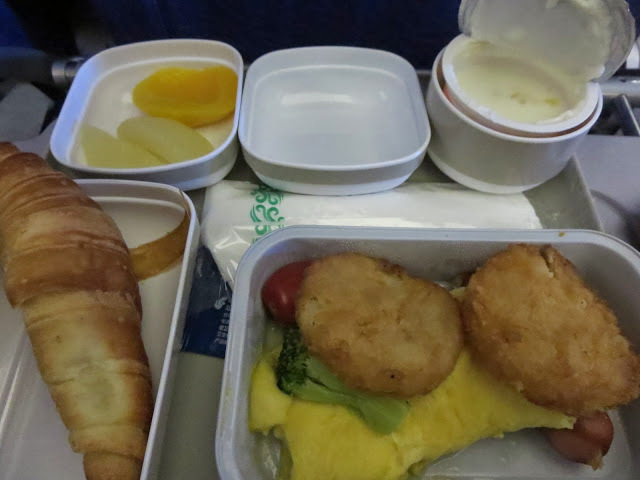 Before I knew it, it was an hour till landing and they were serving us breakfast. I chose the western option which was an omelette with some sausage, hash browns, fresh fruit, yogurt and a croissant. 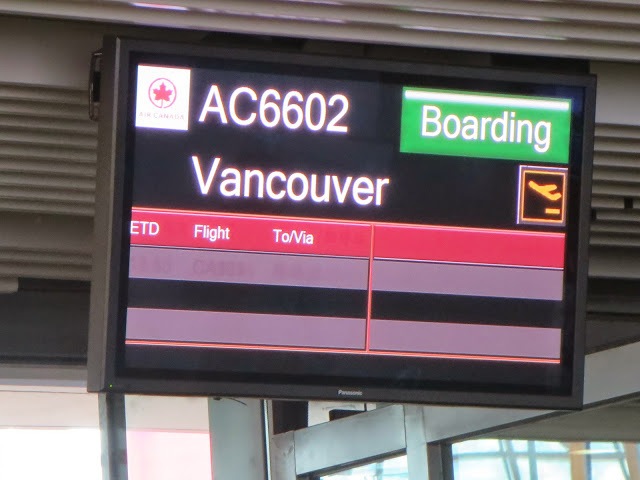 We landed in Vancouver International Airport 20 minutes earlier than expected so with that, along with the delayed departure at the beginning, made me time travel today. I left at 9:20am and arrived at 8:40am. It wasn’t even 9am and I already had three meals. Canada customs was pretty easy. 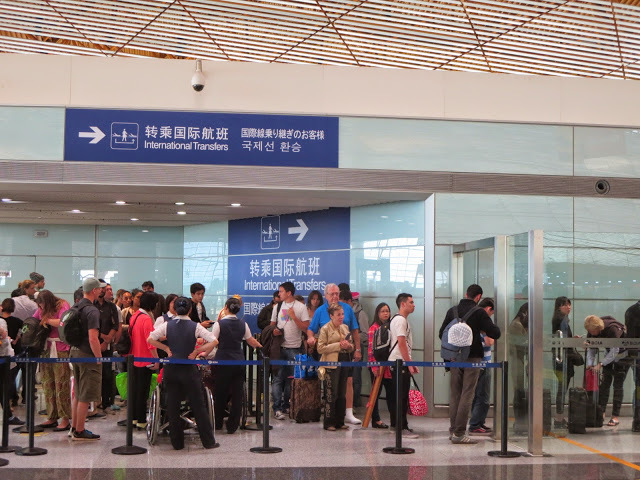 For Canadian residents you just scan your passport and declaration form in a little scanner and walk up to a customs agent standing informally along the roped gateway to the exit. The guy actually asked me where I was coming from and I wasn’t ready for the question so I just laughed and responded um, from Asia. I thought for sure he’d pull me over for a secondary interview but he just waved me through. I’m actually surprised I went through customs with that much ease considering I had been away in Asia for over 3 months but I guess I just have that face. Even at the luggage carousel where there were 3 customs agents standing there interviewing my fellow passengers – they didn’t ask me anything. 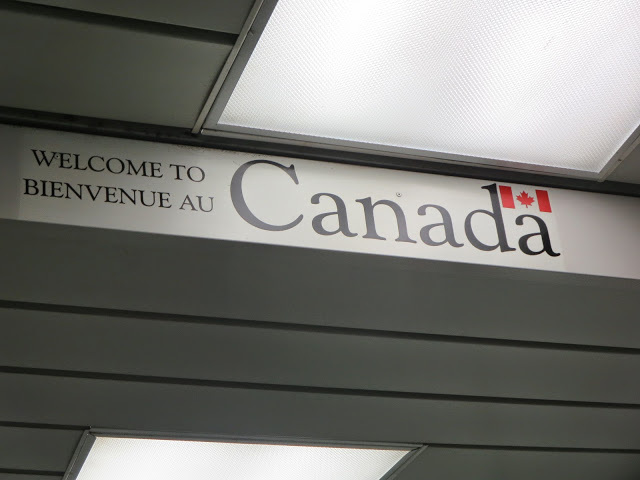 So with no hassle with customs and an early landing I was out the security gate and officially back into Canada by 9am. 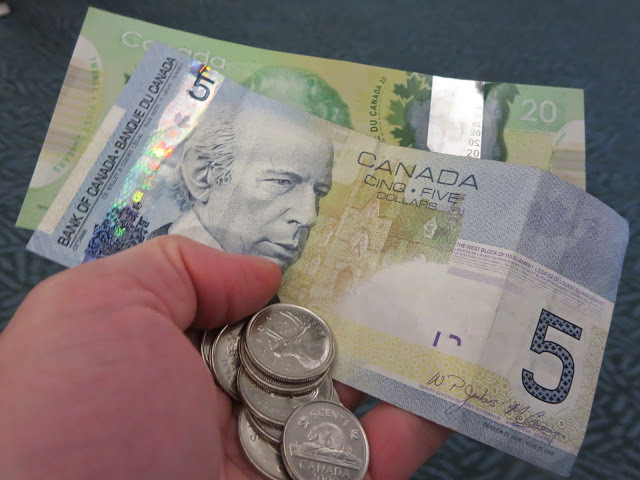 I changed my leftover yen and US cash into Canadian dollars and it felt so good. I had Canadian money again! My money! 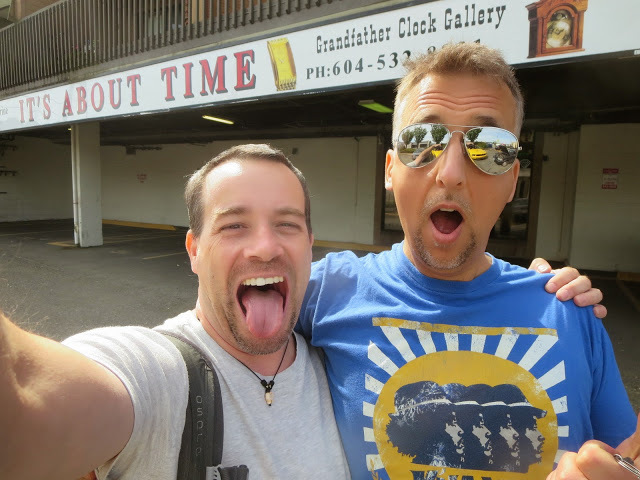 I called my friend Matt, a movie director and producer here in Vancouver (yeah, I know some pretty cool people) from a pay phone as we were doing the old I’ll wait at the gas station down the road for your call and come swing by departures workaround for an airport pickup. I’ve done this before too and it’s a great way to avoid paying for parking. Plus I didn’t have to lug my bag all the way over to the car. I was back in Canada.